Looking for a quick, healthy, and easy-to-make drink recipe that is nutritious and full of energy? How about one that’s also vegan? If that sounds good to you, then this smoothie packed with Middle Eastern flavors will be just what you’re looking for. This recipe gets its sweetness from tasty Medjool dates, and sesame tahini adds creaminess and richness, The flavor profile is rounded out with just a pinch of salt, and the coconut milk base brings everything together. This smoothie recipe makes an easy and delectable breakfast or snack. 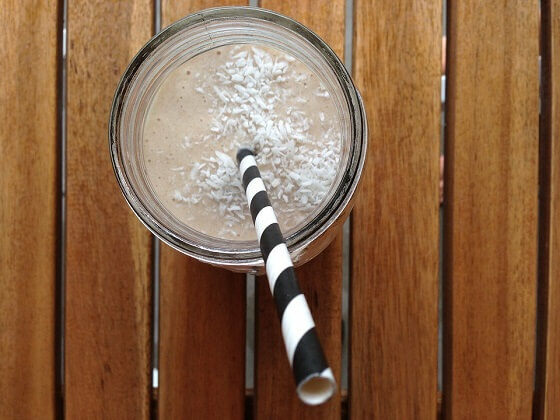 Blend coconut milk with nut butter and dates. Throw in some fresh berries if you have them. Make it the night before, drink in the morning, and have the energy for the day.